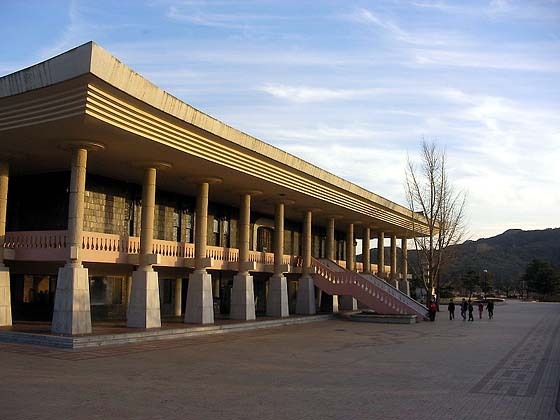 The museum, whose main building is shown here, holds a vast collection of artifacts, many from the Silla Dynasty, of which Gyeongju was the capital. The most stunning objects associated with Gyeongju are gold crowns and other prestige ornaments from the royal Sylla tombs. Some of these are displayed in the National Museum in Seoul, rather than in Gyeongju, but for convenience I discuss them here, regardless of their current location.